This video currently stands as my MOST VIEWED video EVER! 10300 views, and counting!! Nor be God ? It is also the shortest video I ever produced ; It is a short and simple scarf tutorial, click the play button to see just how easy you can achieve this look. Also don't forget to SUBSCRIBE to my channel, good things happen there oh, and I would like if you share this video too! I've received great feedback, people who tried it send me pictures and it makes me happy, so If you do, share with me! PS. What do you think of my new blog look? Don't forget to vote on the top right corner of the page! Wow Sisi dear, this is so lovely...your so innovative and comfy in ur groove..be easy! Oh my! How beautiful! I'll try it for my next makeover post. And of course i'll wear my scarf that way to church tomorrow! I saw it then, and liked it! Will def try it out. 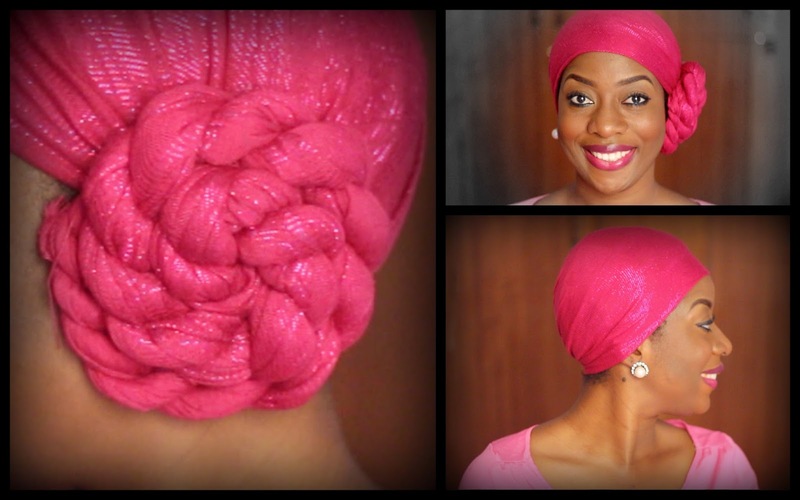 Sisi Yemmie, I tried this on Sallah day, It really looked good but not as good as yours I must confess. I will try it with a softer scarf next time. Cheers sis. Kindly visit my new blog someday for stories and let me know what you think of it.